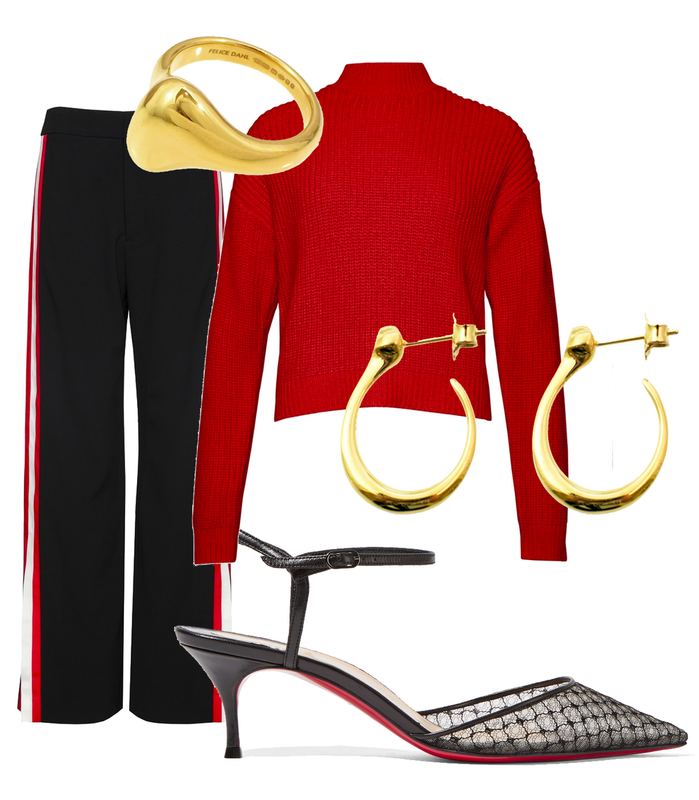 Track trousers and heels are a winning combination - elevating something super casual to cool-chic status. Bring the look together by sticking to the colour palette, and adding touches of gold. Try Felice Dahl Skärgård Hoop Earrings with a Första Ring.